We’re lucky enough this year to have two Friday the 13ths in a month period! 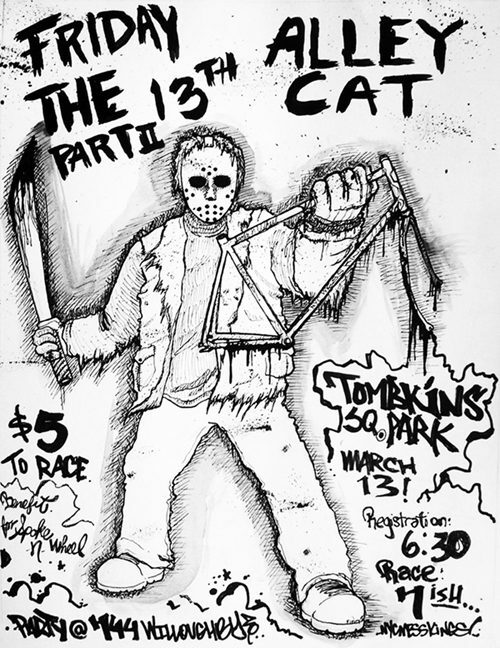 The Friday the 13th Alleycat is bound to be a killer one. Check it out! Also, there’s another event happening which I can’t speak of just yet. More details to follow.